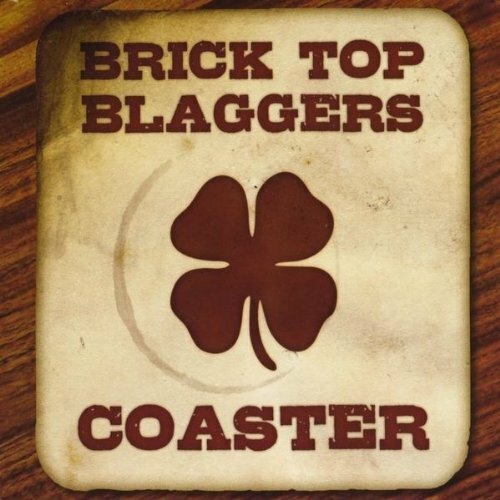 The Brick Top Blaggers are a West Coast Celtic Punk band from southern California. They released their debut album in 2011 but by listening to it you would never think this was their first recording. The music is tight and balanced and the vocals have a great blend of melody and grit. Also, as a debut album, it is great to see all the original material The Brick Top Blaggers have included on the album. Finding my highlights was very difficult and within the last 3 days the number of times I have listened to album is beyond count trying to pick some of my top songs. So after much mental deliberation, the highlights for me are No Prodigal Son, Lady Liberty/Limerick Rake and Charlie Camden. No Prodigal Son is a great start to the album and sets the quickly for the craft Brick Top Blaggers brings to the musical world. I especially like the like about the black sheep can pretend to be white, as it speaks to me in that from outward appearance, I appear to be clean-cut and unassuming that hides my wild side. The tempo and beats are infectious and the gruffness of the vocals drives the tone of the song. Lady Liberty/Limerick Rake is a song from the perspective of an immigrant. It starts slowly and builds to a fast and rocking tune driving the emotion of the song from heartache to the frustrations of a new life alone and bigotry but yet through it all Lady Liberty is the beacon of something better. My third top song is Charlie Camden, a song of an outlaw that when I was not paying attention had me tapping me feet and when driving my steering wheel. I am sure there have been a few people thinking I have a bad case of road rage as listening to this stuck in the middle of rush hour traffic. The song is both melodic and gruff. All in all, I can’t really say there is a bad track on the album and even as I write this, listening to the album I find myself questioning the top songs. What a great freshman record! I look forward to seeing what else Brick Top Blaggers comes up with. The next question of course is when they will start their national tour and hit St Louis?